Body tattooing might be an ancient art, but it has come to cricket only in recent times. Or did players of previous generations get discreet ones, hidden by clothing? Probably not, if you go by former Australian wicketkeeper's Rod Marsh's grumpy, back-in-our-day rant during the 2010 Ashes. "I would have told Mitchell Johnson to take 'em off - and Michael Clarke as well," said Marsh, who played in the era of big hair, big mo's, big drinking and unbuttoned shirts. "How can we have a bloke captain Australia with tattoos? It's just not on. We'd have pulled 'em out, I reckon." Mitchell Johnson - he with the big cat on his torso - has inspired several listicles on the internet with his many tattoos. In this photo he shows children in Kandy the koi fish and cherry blossoms - Japanese symbols for luck - on his right arm. In 2010, Johnson missed Australia's ODI tour of England due to elbow trouble, which, many suspected, was due to a tattoo-related infection. 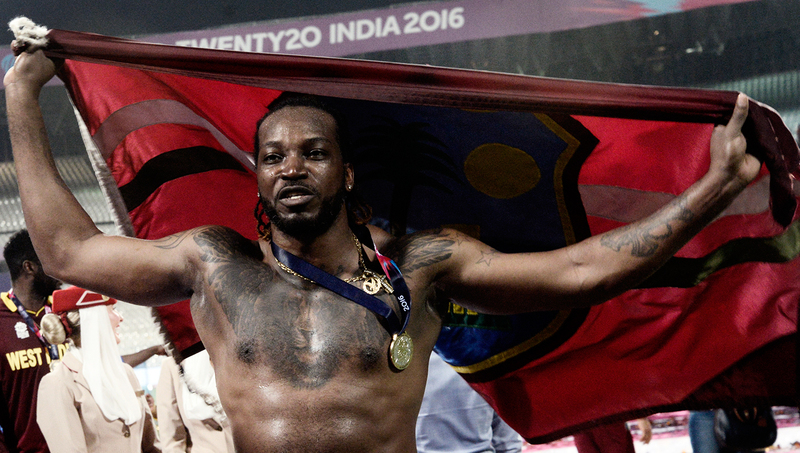 More cat action: Chris Gayle shows off a lion (with a crown and wings) inked on his chest. If you go by the ink on his arms and the number of barbs he receives from opposition players, you'd conclude that Ben Stokes has a pretty thick skin. The photo above displays (adapted) lyrics from a song by Drake titled "Shot For Me". On his other arm, Stokes has Maori motifs to depict that part of his heritage. Athletes are often partial to symbols of courage and strength. Virat Kohli sports a samurai warrior on his leading arm. Some like to show their playful side through their tattoos. 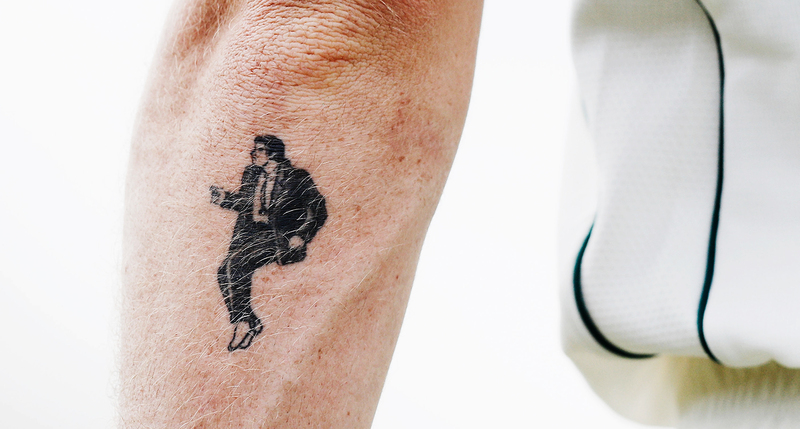 Adam Zampa has a dancing John Travolta from Pulp Fiction on his forearm. England bowler Jade Dernbach is sometimes remembered more for his tattoos than his game. In 2011, he said that if he was picked for England's ODIs in India later that year, he'd cover his left arm with tattoos. He was picked (and took one wicket in three ODIs and a T20I) and both his arms are now covered. 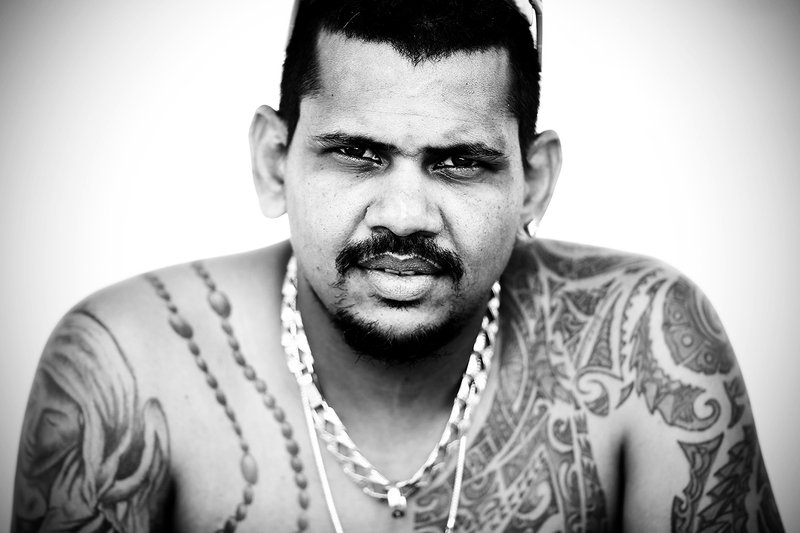 Sunil Narine gets his hip-hop avatar on: face fuzz, shades (perched on head, natch), bling and tats. If you're a cricketer hoping to stand out with a tattoo, here's a tip: don't get jersey numbers or major milestones branded on your arm. Brendon McCullum with roman numerals. Kevin Pietersen with roman numerals. Andrew Flintoff with roman numerals. Lasith Malinga with the dates of his Test debut and the 2007 World Cup game against South Africa in which he took 4 for 4. 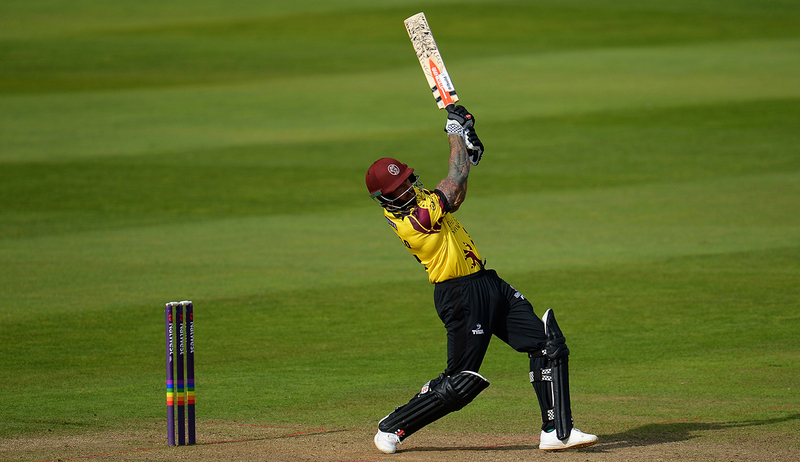 Somerset allrounder Peter Trego's tattoos are so impressive that bat manufacturer Gray-Nicolls incorporated the designs into its Lucky 7 special-edition bat for him. 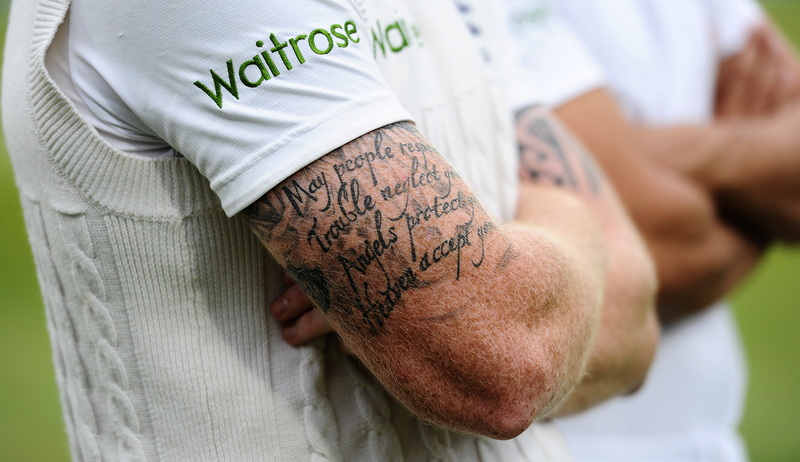 Sometimes, cricketers are the subject of tattoos themselves. 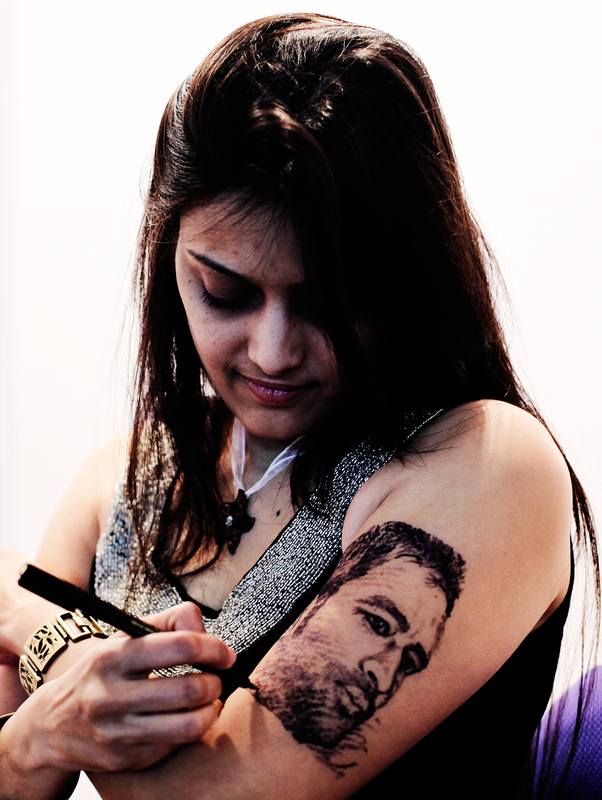 Here, an artist inks MS Dhoni's face onto her arm at a tattoo convention in Mumbai in 2011. 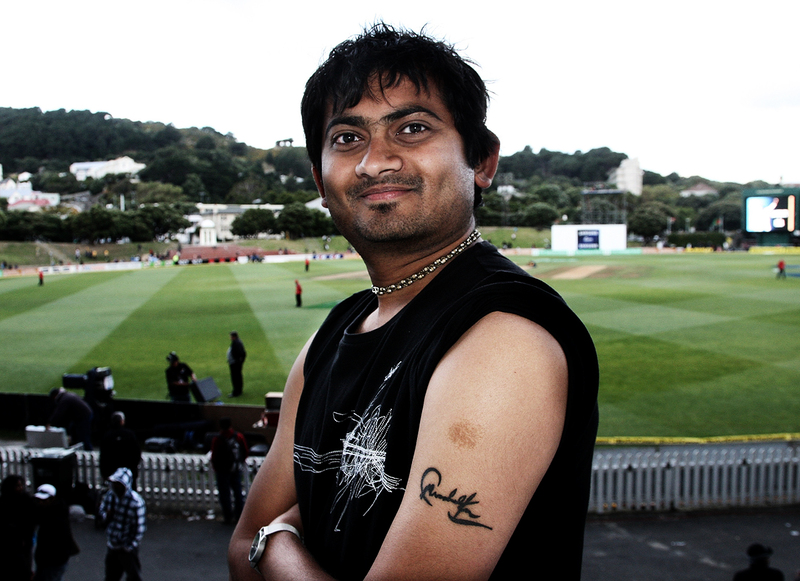 When the game gets under your skin: a fan shows off his tattoo of Sachin Tendulkar's autograph in Wellington, 2009. For some, the act of going under the needle signifies remembrance. 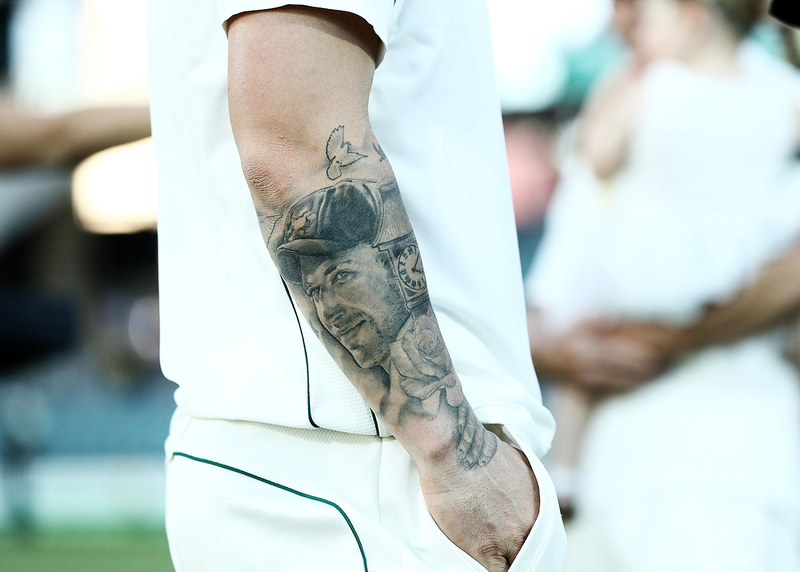 Matthew Wade got a tattoo of Philip Hughes after the batsman's untimely death in 2014.